copybet review | Are These Products Legitimate? CopyBet Review – Is CopyBet Legit? The online bookmaking market has consistently been growing, and with it the number of services which promise to help a bettor make better informed choices. However, in terms of support services there has not been anything really ground-breaking for ages. Everything that has existed before has been about purchasing signals and expert advisors and using them for placing bets. CopyBet is a conceptually new platform of working with bets. The CopyBet team have created a social betting platform, which allows to copy the most successful sport betting strategies from the best punters. CopyBet is a fully functional investment service, which helps users both to create and develop their own copying strategy, and protect their funds from any unforeseen circumstances. 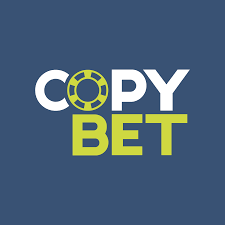 In CopyBet, all basic operations are performed automatically as the development focused on making the copy betting process as simple as possible. There’s no need to download additional software, have any programming skills or look for free space on their hard drives. The rating system for the best punters, a user-friendly interface, and the absence of more expenses make the copy betting process as immediate and clear as possible. What can the “tipster” market offer you right now? Let’s take a look. A lot of offers to purchase predictions or signals, which you can use for placing bets at your bookmaker. This is an industry with the only purpose of selling you predictions, one after another. Basically, everything works through a template: predictions or tips are emailed to you, bets are placed manually. Such services show no transparency whatsoever, because there is no way anyone can check the real bet history of the person who makes the predictions. So, what exactly is the CopyBet concept? CopyBet’s team wanted to get away from this imperfect system and focus on the transparency and complete automation of the process. And it’s not a gambling platform either, this is a fully functional investment service. CopyBet helps users money to work under any conditions, and the platform allows them to invest in the same way like on stock exchanges and financial markets. The investment approach is formed as usual: with the help of Stop Loss, Take Profit, and Copy Ratio. Members have all the necessary risk management tools at hand and, as a result, they can take a fresh look at the copy betting process. This is perhaps the most important tool of the platform. There users can find the best punters and invest their money by turning over control of their account to a professional. If you’re are a successful bettor and you wish to share your results, you can end up at the top of the rankings too! The success of CopyBet has given rise to many frauds who try to sell their own fake platforms in its name. This is a big issue as many customers have lost their money in joining from such fake sites. It is advised that customers should be really careful when they are purchasing and should do some research before they join from any website. To spot these, watch out and avoid sites that claim to write about CopyBet, yet the write-up is completely garbage as they are created by software and spammed all over the internet. It is always better to avoid joining from any other site other than the official one. Therefore, it is highly advised that consumers do careful research, or only buy from the site from the official website here – http://CopyBetOfficial.com/ (link opens in a new window). The official website that they have includes the legitimate platform. New members can start working right after the registration. In our opinion, the CopyBet platform has more than enough benefits to make it worth testing under real conditions. You can start using the platform for free, for example to see strategies of other participants and to analyse the available statistics.